This is a large pair of shakudo and gold menuki carved in the design of two Bijin or Kwannon, one carrying a lotus flower and the other carrying a peony flower. They both appear to be flying through the heavens. The carvings are excellent with heavy gold and silver accents. 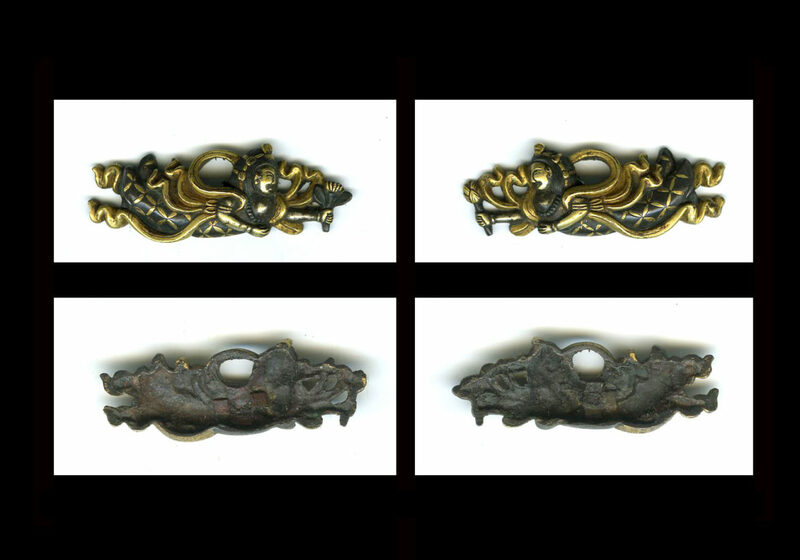 These are large menuki measuring 1 11/16 inchs or 4.3 cm in length. They would look great on a sword or as part of a fittings collection.